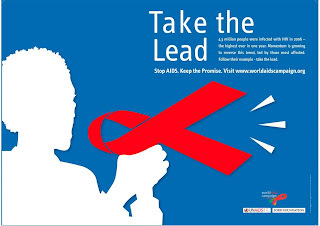 tomorrow, december 1, is world AIDS day. according to the world health organization, in the parts of the world where HIV/AIDS is most prevalent, only one in ten people with HIV know they’re infected. knowledge is power. no, really, it is. you know about AIDS, so you have the power to do something to make a difference. what will you do? i’ll be praying with a LOT of people from 7:00 to 17:00 (1-11 AM EST). you can join us if you want. don’t think prayer can make a difference? agree to disagree… then do something else. visit www.worldaidscampaign.info to learn more about what you can do. anna never, hardly ever publishes on her blog. you like her better than me. i knew it.